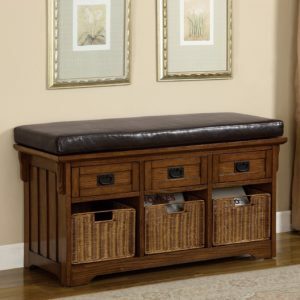 FUNCTIONAL MEETS STYLE WITH THIS 3PC STORAGE BENCH AND OTTOMAN SET. 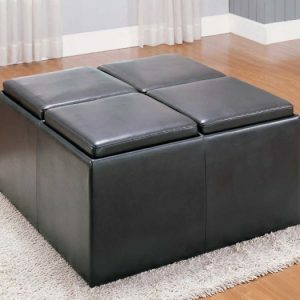 WRAPPED IN A DURABLE DARK BROWN LEATHERETTE WITH PADDED CUSHION SEATING AND CAPPUCCINO LEGS THESE ARE JUST THE PIECES YOUR LIVING ROOM NEEDS. PICTURE FRAME STYLE STITCHING ACCENTS EACH PIECE. 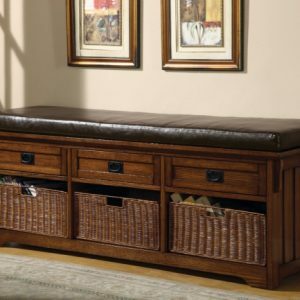 FOR ADDED CONVENIENCE BOTH OTTOMANS AND BENCH COME IN A BOX.